Samsung and Apple are rumored to be working on their own visions of foldable smartphones, and multiple reports suggest their arrival may be closer than you’d think. 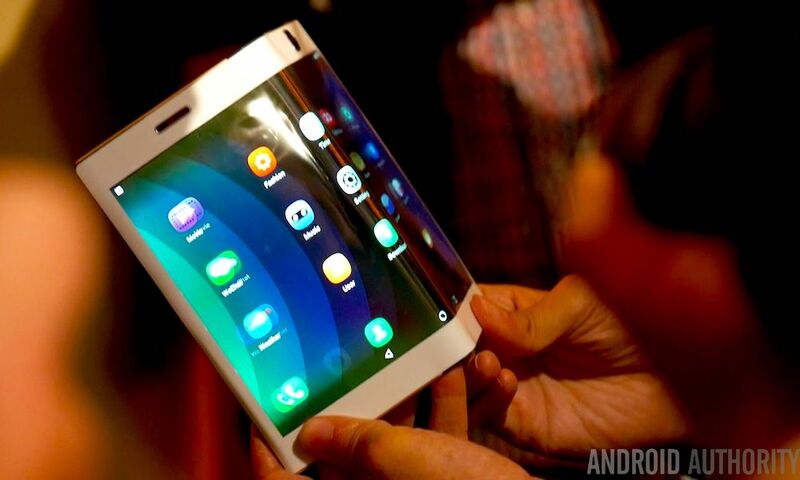 Samsung has been working to produce “flexible and foldable” LED display panels since as far back as 2011, and was rumored as recently as earlier this January to be introducing its purely futuristic foldable smartphone — unofficially dubbed Galaxy X — by as soon as the end of 2018. The device would feature an ultra-large LED display, clocking in at around 7.3-inches — though when folded in half (much akin to a soft taco) the device would embody a more pocketable footprint. Earlier this week, Korean-language news publication The Bell published a new report indicating that Samsung’s unofficially named Galaxy X smartphone will incorporate a whopping three (3) OLED display panels. Samsung’s Galaxy X hybrid device could essentially be envisioned as “a book,” with one 3.5-inch panel on the back cover and another two 3.5-inch panels on either side of the inside cover, Mashable notes. Notably, if The Bell’s predictions are true, they would align to some extent with rumors and reports spearheaded earlier this year which have suggested Samsung is working on a truly foldable device very similar to what the publication is outlining. In addition to Samsung’s many patents covering this entirely new form-factor and its underlying technologies, Apple has also been rumored (and granted multiple patents of its own) covering a futuristic foldable iPhone which may (or may not) emerge on the scene one day as a commercialized product.